Our goal is to make each homeowner 100% satisfied with their project. This is why our slogan says,” A Unique Approach to Construction.” What contractor have you ever heard say they want to make all of their customers 100% satisfied? We believe this to be a very unique approach to construction. We know construction is not an exact science and problems do occur. But when they do occur our goal is to correct them and keep the homeowner informed of the process. Communication is the key. Homeowners want to be communicated with in a way they understand and in a timely manner. They never want to hear bad news about their project, but worse is to not hear anything at all. Our years of experience have shown us the main weakness in the contractor / homeowner relationship is communication. We believe we can turn this weakness into strength. Without the right relationship and proper communication we fail as a contractor and the homeowner is disappointed. Many times the end result of a project looks great. The design complimented the home, the quality of the construction was superb, and it was completed in a timely manner. But the homeowner is still disappointed due to the lack of communication during the process. This is where we raise the bar. Our design will compliment the home, our quality will be superb, we will complete in a timely manner, AND we will communicate with the homeowner. This is our “Unique Approach to Construction”, and our 100% satisfied clients. Mike has over 16 years of construction experience. He started as sales manager with a local contractor overseeing the multi-million dollar sales department. After one year he was promoted to Operations Manager where he was responsible for over twenty employees and over eight million dollars in light commercial and residential renovations. He has a BS in Business Management and a BS in Marketing. Mike is married to his high school sweetheart Belinda, they have two daughters Bridgit and Hannah. 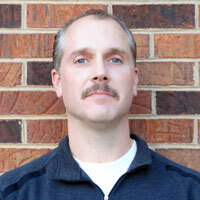 Mike enjoys spending time with his family and watching most any type of sporting event. Ronnie has over 33 years of construction experience. He started working with a local contractor building custom homes. He worked his way up through the ranks to Residential Production Manager. Along the way he has also managed some light commercial construction projects and a sunroom division. Ronnie has a wealth of knowledge pertaining to structural requirements, construction products, scheduling, building code requirements, and management. He has managed thousands of projects ranging from small window replacement jobs to large custom homes on Smith Mountain Lake. Ronnie has been married for over 30 years and has one son, Dustin. 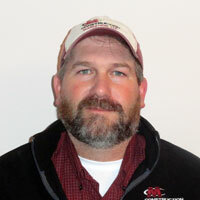 Dustin works for Construction Marketing LLC as Production Manager. Ronnie enjoys squirrel hunting with his Feist dogs.